Credit unions are locally owned by the members who do business with them – not stockholders. Credit union members elect a volunteer board of directors from among the membership, and they prioritize members’ best interests. At credit unions like EPFCU, it’s not only about the bottom line. It’s about what benefits you – the members. Nonprofit credit unions exist solely to meet the financial needs of their member owners. Because they have no stockholders expecting dividends, earnings are invested in members in the form of more competitive rates of return on accounts, lower interest on loans, lower fees and improved services. Money made by a credit union is invested in members in various ways such as through competitive product pricing – which helps working people stretch their money further – or by offering services members may not be able to get elsewhere. We treat all members equally regardless of how much they have on deposit. Finally, credit unions provide financial counseling, educational seminars and more opportunities that for-profit institutions often see as a drain on resources better put toward making profit. Credit union values aren't in profits; they're in people. And that translates to significant contributions within the communities we serve. For example, credit unions lead the nation when it comes to branches operating inside schools – a way for young people to learn to use financial products (such as credit cards) responsibly. As part of their community efforts, credit unions also reach out to people with low incomes, new Americans and people who lack a relationship with a financial institution to offer an affordable alternative to predatory financial providers, such as high cost payday lenders. Serving our members since 1937, EPFCU exists to serve the unique financial needs of the employees of Vermilion County Schools. Like all credit unions, it is owned entirely by our members and is operated by and for them exclusively. Because we are not for profit, our interest rates on loans are lower and savings rates are higher than those offered by conventional financial institutions. Every effort is directed to providing members with courteous, accurate, prompt service consistent with good business practice. The office staff and board of directors are dedicated, enthusiastic credit union people with one goal – to better serve our members. Education Personnel Federal Credit Union serves employees of public, private and parochial schools in Vermilion County, Illinois. Also in our field of membership are the Center for Children’s Services, Crosspoint and Danville Area Community College. Relatives of members and retirees from the field of membership are also eligible for membership. All new accounts must be opened in person at our branch office. Credit unions were founded on the principle of “People Helping People,” and at Education Personnel Federal Credit Union, we consider that mission a priority. We believe in giving back to our community. We are member-owned, and we are always striving to put our community first – because that’s the community most of our members are a part of. Throughout the year, we give back to our community through our time, services and finances. As a credit union, we take great pride in helping our members find the path to financial success. We often recommend ways for our members to help build their credit, get their finances under control or even help them through a financial crisis. We care about our members and their needs, so we make it a priority to help them through the good times and bad. At the start of the school year, we host an annual school supply drive. This benefits the students in our area who may otherwise go without the necessary supplies to excel in their studies. Students are the future of our community, and we believe in investing in our future. Education Personnel Federal Credit Union is also involved with Money Smart Week. It’s an event that occurs once a year to help people better manage their personal finances. Most of the events throughout Vermilion County are free to the public, and we love helping people in our community be financially successful. Relay For Life is an organization that is searching for the cure for cancer and helps those who are battling cancer. 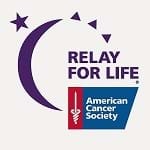 We have many employees, members and loved ones who have felt the impacts of cancer, and we created a Relay For Life team to help raise funds that benefit the American Cancer Society. If you have an interest in joining our team, let us know. Another way we give back is with our annual food drive. The holiday season can be very tough as the colder months approach, and food pantries often run low during this time. We like to do our part by hosting a food drive. We have had great success with this in the past and often offer an incentive to help our members get in the giving spirit with us. These are just a few of the ways EPFCU gives back to our community. We love giving back and seeing the impact it creates. Employees are encouraged to volunteer their time and talents, and EPFCU will continue to give back as we see fit. When we all come together, we benefit our community for the better. NCUA - The National Credit Union Association aims to protect consumer rights and member deposits.